I made these for a dear friend's birthday a few weeks ago - but you all know how crazy life is and how hard it is to get things posted! Anyway, they are DELICIOUS. Honestly, finger-licking good. I absolutely love how pretty they turned out and would recommend them for any party! The original recipe is from a cute blog called Love and Olive Oil, but I was exhausted (it was 6 am on a Saturday) and I misread the ingredients...so some of the stuff has changed. Oh well, cheers! Ok. Preheat oven to 350 degrees F. This makes 12 large cupcakes. Line a muffin pan with paper liners. 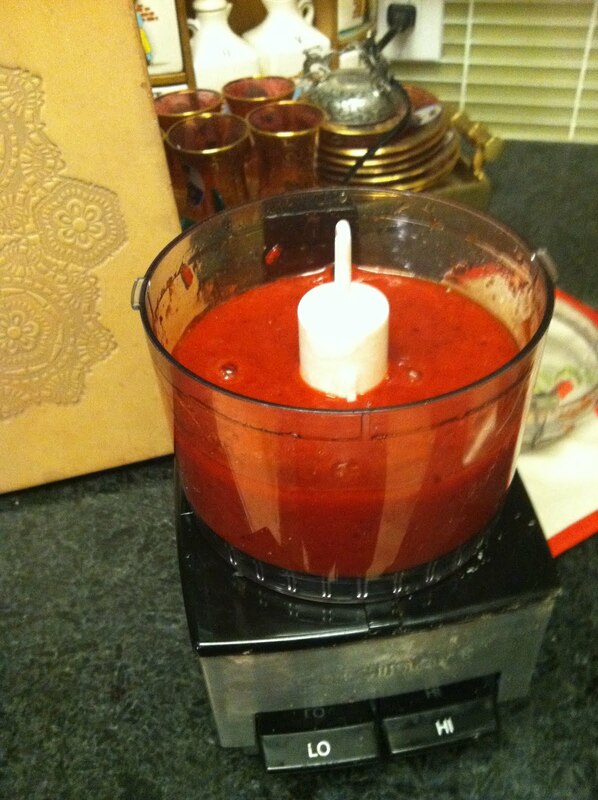 Pulse the strawberries (frozen or the fresh + sugar) until a nice puree is formed. Maybe 20 seconds total. 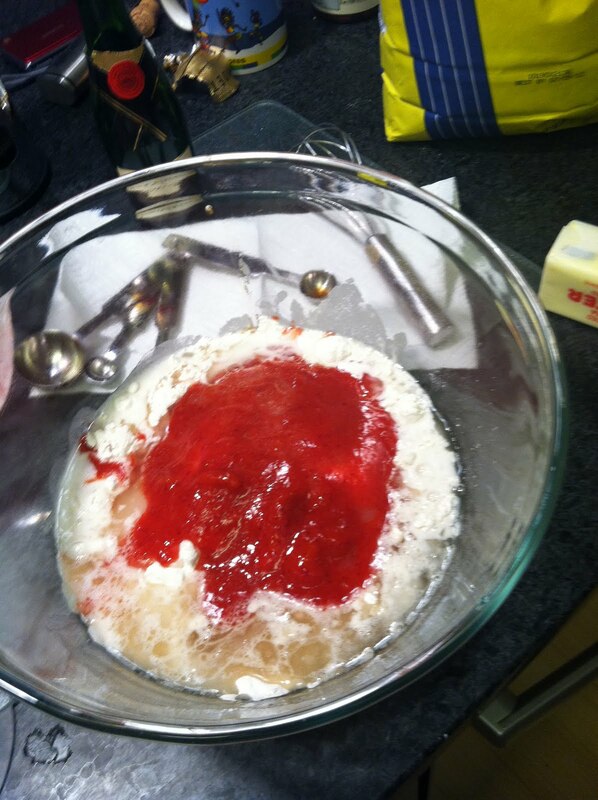 Combine all of the ingredients for the cupcakes with the puree and bake for 22 minutes. Toothpick will come out clean. Cool. I messed up on the frosting so I had WAY TOO MUCH, but no worries! Now it's frozen and I can use it on a cake. I mixed all of these things together (talk about racking my brain and a lesson in chemistry) but honestly, I find it hard to go wrong with sugar and champagne. 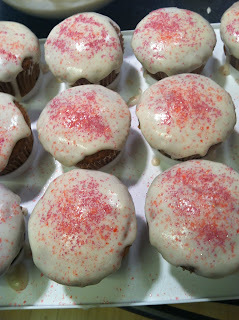 I topped with two kinds of pink sprinkles! They turned out amazing! I misread your recipe and used 23 cups of champagne instead of 2/3 cup. It came out amazing but a little watery.